The O2 has been transformed into a Country music haven for the 4th Country to Country festival.  Launched in March 2013, the month being chosen in order to not conflict with Country singers busy summer touring schedules the festival has gone from strength to strength transforming into the three day event it is today. As you arrive in the main entrance to the O2 you are greeted by the big entrance stage. The Indigo club has also been taken over by Radio 2 during the day, and is the home of the after show parties after the main arena has finished. Even Cineworld has screenings of the Country Music awards for the festival. The merchandise stall is alive and well so there is apparel for even the fussiest of country music fans. Even the food stalls were fitting of the genre giving the attendees the true Nashville experience. The ‘under the Apple tree sessions’ curated by Bob Harris was given a larger residency this year within building six. It was a seated venue where concert goers could immerse themselves in the concert sensation. A lot of the acts featured will be present at the ‘Under The Apple Tree Roots Festival’ at Silverstone, in May this year. I was mainly here as a photographer, and here's my opinions of the acts I snapped over the weekend. Although relatively a new name to country music, Maren is no stranger to her craft. By the age of 21 she had recorded three albums. Specializing in writing about everyday things such as getting ready for a night out, singing to your favourite tunes on her radio, she’s a welcome diversion from the normal subject of heartbreak or love lost. Her official debut album is due out in June. Veterans of the Country scene for nearly twenty years, Little big town are considered one of the big hitters of US Country music. The set list was fantastic and each member was given a chance to shine. The chemistry of the band was brilliant and crowd loved every minute. Carrie Underwood has blossomed from American Idol princess to Queen of country music. Her welcome return to the Country to Country is nothing short of a triumph. A hit riddled set list, an amazing vocal range and high energy performance guaranteed everyone in the arena was having an fabulous time. Chris’s profile has been building steadily in the last few months but he has been thrust into the limelight recently due to his performance on the 2015 Country music awards with Justin Timberlake. However, it will not be long before he is selling out arenas in his own right. His performance was one of the best sets of the whole festival the only shame being that it was only eight tracks long.An absolute legend in the making it was a truly magical experience. The penultimate act on the main stage at Country to Country, Kacey released her debut album in 2013. Her second album was released last year and reached number 11 in the UK charts. Kacey provided a much needed upbeat and positive set. From a wonderful cover of ‘Crazy’ to an enthusiastic rendition of ‘a Spoonful of sugar’. In future she should strive to mix it up a little as the set was a little samey in places. However, it all went down really well with the crowd. Eric was unfortunately not very well due to contacting an illness in Germany, but he arrived on stage like a trooper. After a few tracks, he found his stride and completed an eighteen strong set. The crowd interaction was fun and they seemed to be enjoying themselves. A fitting finish to the three day festival. Country music once had a reputation as a stagnating genre; the last three days have shown that’s it alive and well, diverse and broad. Country to Country is growing year upon year and with the healthy interest the UK is showing it will continue to do so.